In response to these comments, Edison Lanza, Special Rapporteur for Freedom of Expression of the Inter-American Commission on Human Rights (IACHR) of the Organization of American States (OAS), told the Knight Center that discrimination by the State in distributing according to editorial lines is a violation of freedom of expression, according to what is established in the American Convention on Human Rights. Distribution of official advertising to media should obey objective criteria, according to the rapporteur. In an interview the day after his election with TV Globo's Jornal Nacional, Bolsonaro said he favored freedom of the press, but said that "the issue of official government advertising is something else." Bolsonaro referred to two Folha reports about alleged irregularities in his parliamentary performance and in his election campaign. The latest, published Oct. 18, dealt with how business backers of Bolsonaro allegedly purchased mass messages sent via WhatsApp against the Workers Party (PT) of Fernando Haddad, his opponent in the second round of elections. Such a practice is illegal because it would be a business donation to the candidate's campaign, which is prohibited in Brazil. Folha's report prompted the opening of five suits in the Superior Electoral Court (TSE) against Bolsonaro, which had been filed by opposing parties, accusing him of abuse of economic power, according to site Jota. Bolsonaro accused Folha of creating "fake news" against him. "Of course I can not consider this press worthy," Bolsonaro told Jornal Nacional. "I do not want it to end, but as far as I’m concerned, with official advertising of the government, the press that behaves this way, lying shamelessly, will not have support from the federal government." "If he shows a willingness to discriminate among media as friends and foes, what will he do when the interests at stake are more significant," the newspaper wrote, adding that "it does not depend on federal advertising," but on its readers, advertisers and "reputation formed over decades of fidelity to the canon of professional journalism." "Media such as Folha will not fail to scrutinize the exercise of power because the people who have it at the moment have decided to adopt the tactic of intimidation. Jair Messias Bolsonaro does not need to learn his lesson. Just get used to that fact," the newspaper concluded. Official advertising from the federal government and state-owned companies such as Banco do Brasil, Correios and Eletrobras is one of the sources of media revenue in Brazil. In 2016, Folha received R$ 6.9 million referring to these advertising pieces, according to survey of the site Poder360. In total, the federal government that year, led by Dilma Rousseff (PT) until August and then by Michel Temer, invested R $1.5 billion in official advertising, of which R $78 million went to newspapers, R $46.9 million to magazines, R $182 million to websites and R $976.4 million to broadcast TV. In March 2017, the government of Michel Temer terminated the IAP (Institute for Monitoring of Advertising), a parastatal body that collected and organized data on advertising contracted by the federal government since 1999. According to Poder360, with the termination of the IAP it becomes necessary to "read all the Official Gazettes and search all the balance sheets of more than 100 state companies to understand what was spent – even so, the result of this work would be imprecise," since "the criteria of each body to disclose such information are not standardized." When this happens, it is a violation of the right to freedom of expression, which has recently happened in countries such as Argentina during the Kirchner governments, in Ecuador during the government of Rafael Correa and in Venezuela during the governments of Hugo Chávez and Nicolás Maduro, Lanza explained. “Hopefully it will not happen [in Brazil], but it would not be new. There must be objective criteria to assign official advertising and not simply the whims of a leader,” Lanza said. The Special Rapporteurship for Freedom of Expression of the Inter-American Commission on Human Rights established criteria for official advertising, Lanza said. These are available in the document “Principles on the regulation of government advertising and freedom of expression” and should be linked to “audiences, media reach, the public and the objective they want to reach, the character of information that they want to distribute,” Lanza explained. The Brazilian Association of Investigative Journalism (Abraji) recorded 153 attacks in the political-electoral context against journalists since the beginning of the year — 72 physical and 81 digital. Since the election campaign began on August 16, there have been 42 cases of intimidation, harassment and threats against reporters in the coverage of the elections. Most of these attacks "are attributed to Bolsonaro supporters, while the remainder are attributed to supporters of the Workers' Party (PT)," Abraji said in a joint statement with other press freedom organizations published on Oct. 25 . 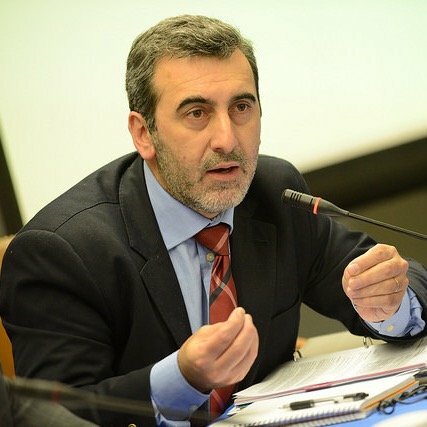 Lanza pointed out that the problem of violence against press professionals is not new in Brazil, which recently appeared again in the annual ranking from the Committee to Protect Journalists (CPJ) of countries where there are high rates of impunity in cases of murders of journalists. It was in 10th place. “Our obligation is to remember that Brazil has signed human rights treaties, that it has a Constitution that protects freedom of expression and that this generates obligations for the State,” Lanza said.